Fabric: 70% Acrylic, 30% Wool . 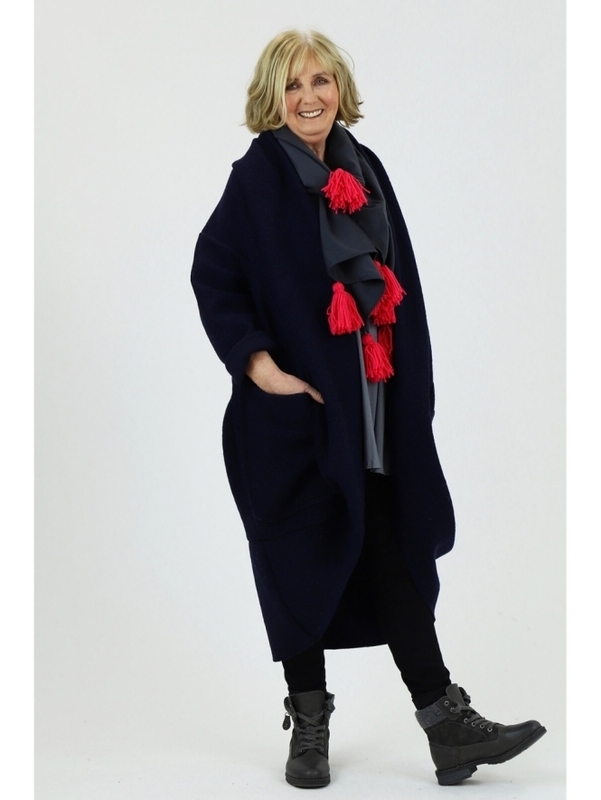 A gorgeous fastening free overcoat that you'll want to wear over everything! The Made in Italy Carlton Wool Coat features a scooping collar front and two deep pockets. With raw edge detailing this style is great everday coat guaranteed to keep you cosy this season. Finished with long sleeves and panel detailing to the hemline this coat has so many great features.